Greetings! I’m writing this as I lounge on a pristine beach in captivating Puerto Rico. I’ve loved this mesmerizing island for so many years. The beaches go on for miles and that shimmering aqua water soothes my soul. But it’s also an island with a swaggering history, a culture rich with pride, and to top it off, full of eco-friendly adventures. I woke up in New York and by noon I was on the beach. A four-hour flight was all it took, and since PR is a US territory Americans don’t even need a passport to enter! 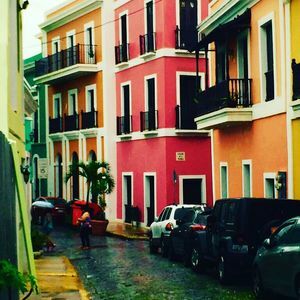 One of my favorite things is to take a leisurely stroll through Old San Juan. I can never get enough of the candy-colored 16th and 17th century Spanish Colonial buildings. Wandering the blue cobblestone streets, I found the perfect outdoor café serving a traditional dish called mofongo; mashed plantains stuffed with either pork, chicken, beef, or my favorite, octopus. El Morro and San Cristobal are two historic forts with stunning views to the expansive ocean. While you won’t find pirates here today, they’re evident through the island’s fascinating history. Nature and outdoor adventure are plentiful throughout the island. I ventured into the northwest hills to the town of Arecibo and explored the world’s largest underground cave system, the Rio Camuy Caves. A guided tour led me by spectacular stalagmites and stalactites, estimated to be approximately 45 million years old, and I traversed to a breathtaking spot where the rays of the sun shone through a sinkhole entrance, 450 feet above. Spectacular! One sinkhole in particular, also in the town of Arecibo, is known for nestling an awe inspiring 1,000-foot diameter dish. This dish, a radio telescope, keeps us safe from asteroids, beams three-minute pictorial message 23,000 light years away, and has assisted in numerous notable discoveries. 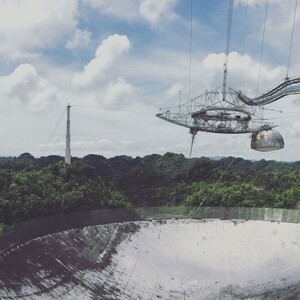 Exploring the Arecibo Observatory was one my favorite activities and should be on your list too, when visiting the island. 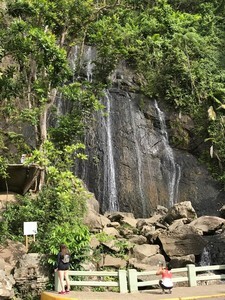 I discovered that El Yunque National Forest, in Rio Grande, is the only tropical rainforest in the U.S. National Forest System. I had an enchanting day hiking the network of trails dotted with gushing waterfalls and swimming holes cooled by mountain waters. Then there are the Bio Bays -glow-in-the-dark bioluminescent bays - there are only five in the world, and Puerto Rico has three of them each explorable by a kayak tour. 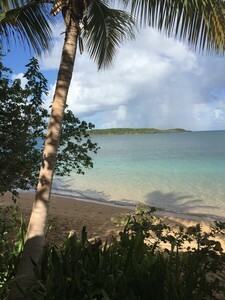 Accommodations on Puerto Rico are varied and plentiful. High end resorts on the beach offer every amenity imaginable, mid-priced hotels in the heart of Old San Juan offer convenience to history and culture, while quaint guest houses in the smaller towns like Luquillo, where I stayed, offer a more local flavor. Beach-front condo and home rentals throughout the island are plentiful. If you are worried about the effects of Hurricane Maria, don’t be. Responsible tourism will continue to help the island recover and your visit will be the most effective remedy. I’m embarking on a snorkeling adventure later today and taking a surfing lesson tomorrow.… I’ll fill you in on my next adventure the next time I write.